The admission fee in nursery and kindergartens in most private schools of the Valley is higher than engineering and other professional courses. The huge amount of fee charged by these private schools has left parents exasperated. The private schools are charging admission fee as per their wishes as “nobody has control over the fee structure in the private institutes”. According to the fee receipt issued to a parent by a popular school in the city, the total amount charged as “admission fee” for nursery is Rs 50,000 with a monthly fee of Rs 2700. This year, many private schools in the city are charging anything between Rs 10,000 to 40,000 as admission fee depending on how rich parents of the students are. Some private schools have completed the admission procedure while in others the admission process is on in full swing. The problem also persists in most missionary or religious schools. Aspiring parents who are desperate to get admission for their wards in a particular school are ready to pay anything the school authorities demand. From submission of admission forms to the selection process, school authorities charge higher amounts violating all laws. A child of two to four years is also interviewed before being selected which according to academicians leaves a bad impression on the mind of a child. “The process of admission in nursery and kindergarten in the hi-tech schools of the Valley is full of irregularities. A three-year-old child is being asked such questions that he is unable to answer, and judging him for five minutes is highly unacceptable. A child cannot express before two judges that are not known to him,” said a noted academician of the Valley. Rafiq Ahmad from Batamallo was unable to secure an admission for his child because Sumaya, her girl child, could not pass the interview. “My daughter could not pass the interview to kindergartens as she was unable to answer questions posed by school authorities. She was so scared that she did not even open her mouth before the judges though she keeps talking at her home without a break,” said Rafiq Ahmad. Almost every private school in the Valley sold thousands of forms at the rate of Rs 500 per form. The parents who are desperate for getting admission of their toddlers in a particular school do not ask questions about the high amounts of fee even in pre-nursery or nursery. “Since we needed the seat badly for our lone child we did not ask questions,” said a couple eager to admit their son in a school known for better infrastructural facilities. A number of parents whose wards could not make pass the interview said getting admission for a child had become more difficult than getting employment these days. “For securing admission of one’s child, one needs to have money, political links and recommendation,” said Javed Ahmad of Lal Bazar. Expressing dissatisfaction, Ahmad said the selection process in the premier missionary schools in the Valley was not transparent. He said private schools and coaching centers were making huge money. The schools have kept unique selling propositions as a marketing strategy. Mushtaq Ahmad who has secured admission for his ward in a particular school said school authorities charge as per their wishes. “When we asked them the reason, they replied that they are the only school that offers CBSE pattern education,” Ahmad said. The school authorities also cite “infrastructure” as their USP. “The school authorities told me categorically that they charge for their infrastructure as they have kept it at the level not maintained by other institutions,” he said. The imparting of religious education is the USP for one of the institutions in the Valley while for others it is the focus on the extra-curricular activities. However, for educationists the infrastructure like hi-tech classrooms and well furnished walls is not a criterion for judging the quality of a school. “What really matters is whether a school has well-trained teachers, a healthy teacher-pupil ratio and an engaging curriculum that encourages children to think independently. Sadly, for most city schools, fancy facilities in the garb of infrastructure and ‘smart classrooms' have become unique selling propositions of sorts,” said an educationist. 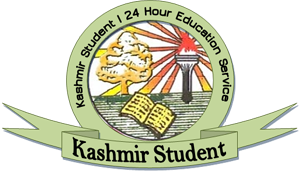 Expressing helplessness, Director School Education Muhammad Shafi Rather said the government cannot do anything in this regard. 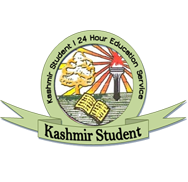 “We do not have any control over the fee structure of private institutes of the Valley. Actually, nobody has any control,” he said. However, Rather blamed desperate parents saying the choice lies with the parents. On whether the authorities had any plan to regulate and check irregularities, Rather said the government was serious and soon authorities would see into the matter.